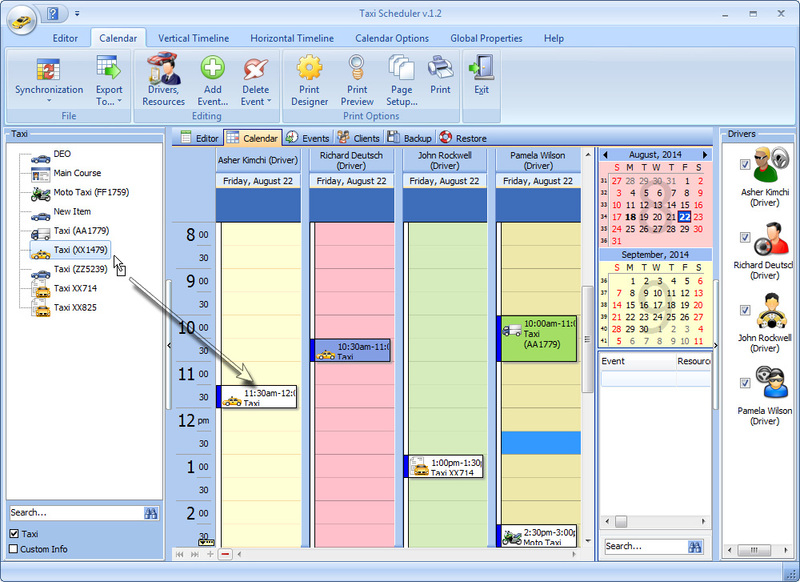 The scheduler that is built in the program allows proper and easy management of all appointments along with management of all working hours in the most possible efficient manner. Dragging and dropping of taxi vehicles in available and appropriate time slots is also possible in the software making it possible to make appointments easily and conveniently. The program other than storing information and facilitating taxi drivers in managing time and vehicles also allow easy conversion of the entire data in the program available in text and graphic form into HTML. People who work using Microsoft outlook can synch their data in the program and export it from other formats as well including HTML, XLS, XML, TXT and iCal. This makes it easy to adapt to other programs. The software also offers the option of auto field filling and automatic search for any client whose records have been stored or entered in the database of the software. In addition to facilitating management And organizing features for taxi scheduling, the software also offers its users the benefit of checking all information relating to daily expenses and income, both in aggregate form and on a day to day basis. This information can be derived whenever the need arises.